Joel Selvin is an award-winning journalist who has covered pop music for the San Francisco Chronicle since 1970. Selvin is the author of the bestselling Summer of Love and coauthor, with Sammy Hagar, of the number-one New York Times bestseller, Red. He has written twelve other books about pop music. Joel Selvin’s book...is a deeply researched, minutely detailed, account of the event as it unfolds, occurs and concludes; and as a result comes to conclusions much greater than historical myth or a ‘documentary’ film can portray...This book is definitely worth a read, and it is extremely well researched. 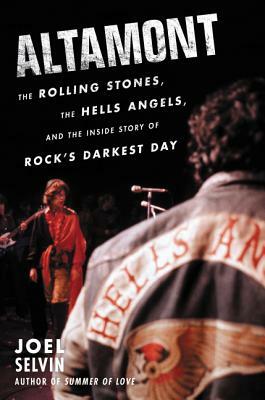 A fascinating account of the festival and its repercussions, this is also a cultural historical portrait of the West Coast rock scene, a history of the bands involved, and of the counterculture itself. Will be of interest to rock and pop culture fans.